Andrea Ricca was the owner-founder of the present company "Ricca Andrea & C. Snc" based in Busca - Cuneo - in northern Italy. Andrea Ricca was an autodidact with a natural talent for drawing and for mechanics. Over the years he received many awards and national and international recognitions for the continuous evolution always focusing on the end-user security. 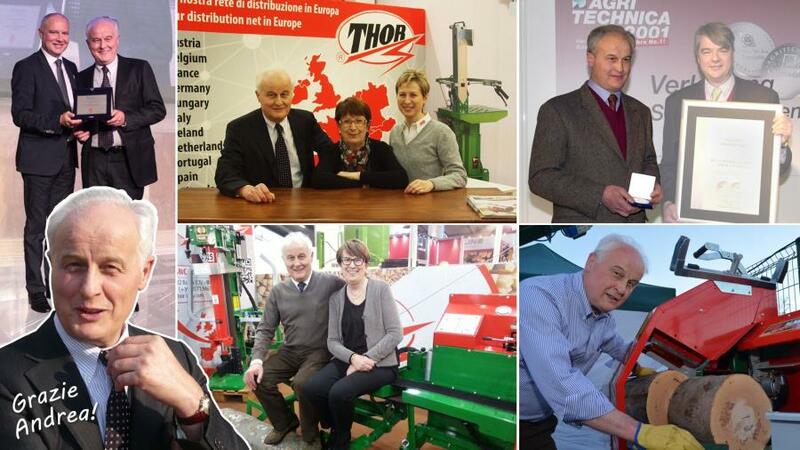 His ideas, his innovations, his patents but especially his passion for the forestry sector represents the current reality called THOR. "THOR", as the ancient god of thunder in Norse mythology. Even the name of this brand was chosen by him to represent its products in the world. The company operates in the engineering industry since 1977, with interest mainly addressed to agricultural and forestry engineering. When in the mid-80s our owner-founder, Andrea, appeared at the production in this sector, in Italy there was no market for the type of products that he decided to create, woodworking machines. In fact, it was the period in which fossil fuels for heating and concrete in building sector were predominant. So he decided from the beginning to turn to the countries of Northern Europe and particularly in Germany, where wood continued to retain its importance in many aspects of daily life. Initially he had to face very tough challenges, because it was not easy to create a competitive product in a different market than his own. With hindsight, it can be said that he won this bet. Just when it was becoming successful in Germany, Switzerland and Austria, came the first world oil crisis and in subsequent years also here in Italy there was a returning to wood, making a comeback even in trends and aesthetic taste. His projects and innovations have been realized thanks to his passion for this work, always played with enthusiasm, but especially for having the humility and the ability to listen to the customer and his needs. Unfortunately, Andrea Ricca passed away on Christmas Eve, December 24, 2016, struck by an illness at the age of 67 years. 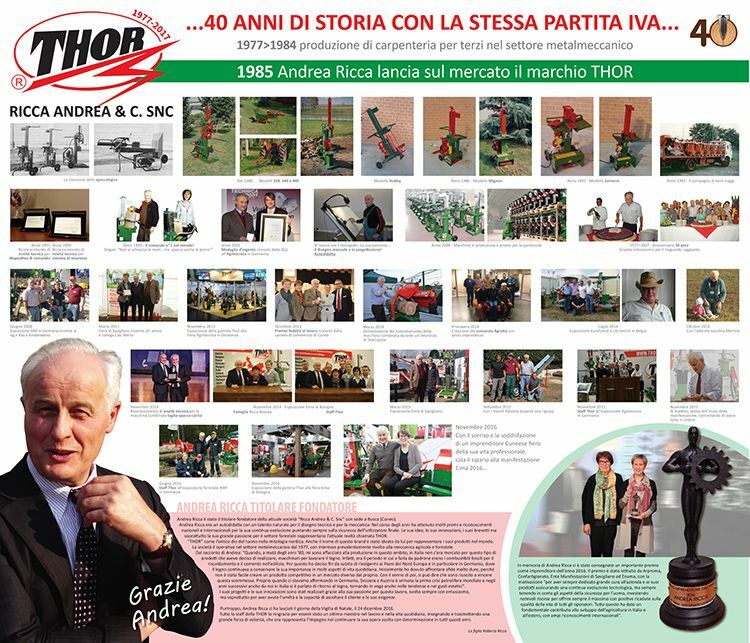 All THOR staff thanks him for being a great teacher at work and in daily life, teaching and transmitting a great willpower, that now is the commitment to continue his work carried out with determination in all these years.